Face it, if this universe were a school project, it would receive a C+ at most. Gemma Arrowsmith presents human folly at its finest in this rogues’ gallery of quacks, charlatans and con artists. Sketches and characters exploring such depths as homeopathy, plastic surgery and even shampoo adverts. The greatest female comedy actor of the 21st century, says Vic Reeves. …for more gigs, see gigs page. 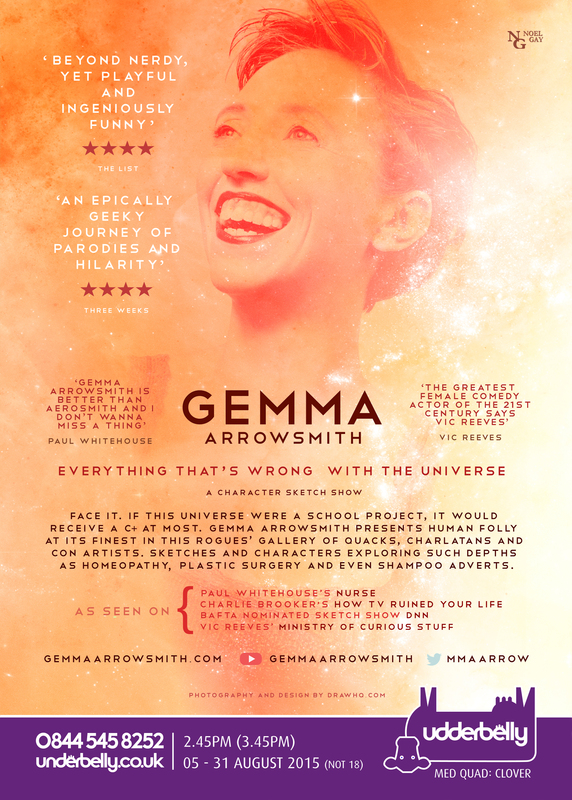 Gemma Arrowsmith is a comedy writer/performer and the recipient of the Fringe Report Award for Best Artist. As half of double act Mould & Arrowsmith, she took a trilogy of shows to the Edinburgh Fringe. 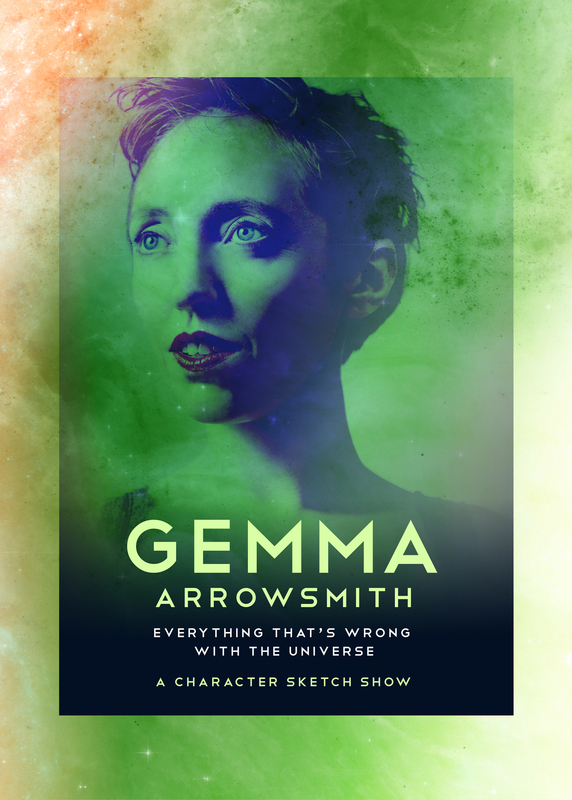 Her first solo show Gemma Arrowsmith: Defender of Earth debuted at the Leicester Square Theatre before going on to the Edinburgh Fringe in 2012. She runs the YouTube channel Sketches in My Flat and the SoundCloud channel Gemma Arrowsmith’s Small World. Her four part audio series Gemma Arrowsmith’s Divine Comedy can be found on iTunes and AudioBoo. She is a regular contributor to Susan Harrison‘s Back Row podcast. As an actor, Gemma has appeared in Merlin, Hustle, Charlie Brooker’s How TV Ruined Your Life, Dead Boss, Playhouse Presents…Damned, Home Time and Paul Whitehouse’s Nurse amongst others. For Children’s BBC, she has been a regular in DNN: Definitely Not Newsround, Hacker Time, Vic Reeves’ Ministry of Curious Stuff and Relic: Guardians of the Museum.